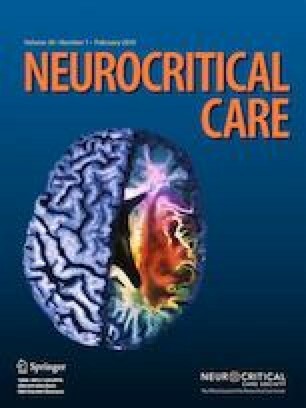 We performed a retrospective cohort study involving TBI patients who underwent PRx monitoring to assess issues of feasibility relevant to future interventional studies: (1) the proportion of time that CPPopt could be detected; (2) inter-observer variability in CPPopt determination; and (3) agreement between manual and automated CPPopt estimates. CPPopt was determined for consecutive 6-h epochs during the first week following TBI. Sixty PRx-CPP tracings were randomly selected and independently reviewed by six critical care professionals. We also assessed whether greater deviation between actual CPP and CPPopt (ΔCPP) was associated with poor outcomes using multivariable models. In 71 patients, CPPopt could be manually determined in 985 of 1173 (84%) epochs. Inter-observer agreement for detectability was moderate (kappa 0.46, 0.23–0.68). In cases where there was consensus that it could be determined, agreement for the specific CPPopt value was excellent (weighted kappa 0.96, 0.91–1.00). Automated CPPopt was within 5 mmHg of manually determined CPPopt in 93% of epochs. Lower PRx was predictive of better recovery, but there was no association between ΔCPP and outcome. Percentage time spent below CPPopt increased over time among patients with poor outcomes (p = 0.03). This effect was magnified in patients with impaired autoregulation (defined as PRx > 0.2; p = 0.003). Prospective interventional clinical trials with regular determination of CPPopt and corresponding adjustment of CPP goals are feasible, but measures to maximize consistency in CPPopt determination are necessary. Although we could not confirm a clear association between ΔCPP and outcome, time spent below CPPopt may be particularly harmful, especially when autoregulation is impaired. The authors acknowledge several critical care professionals who participated in the assessment of inter-observer variability: Tomas Godinez MD, Colin Casault MD, Jason Waechter MD, Laura Robinson RN, and Sandy Manuel RN. AK conceived the study, analyzed and interpreted the data, and wrote the first draft of the manuscript; PC participated in the assessment of inter-observer variability, and assisted with the interpretation of data and writing of the final manuscript; DZ helped with the interpretation of data and writing of the final manuscript; MA assisted with refining the study questions, provided technical assistance with the use of ICM+ software, and assisted with the interpretation of data; CG participated in the assessment of inter-observer variability and assisted with the interpretation of data and writing of the final manuscript. All authors read and approved the final manuscript. This study was performed without any dedicated funding. One of the authors (CG) received funding from the Department of Clinical Neurosciences at the University of Calgary for the purchase of ICM+ licenses and equipment. Alberta Health Services provided information technology support. No identifiable information has been presented. This study was approved by the Conjoint Health Research Ethics Boards at the University of Calgary. The need for consent was waived. Carney N, Totten AM, O’Reilly C, et al. Guidelines for the management of severe traumatic brain injury, 4th edition. http://www.braintrauma.org. Accessed Nov 23, 2016.
http://cppopt.org/research-projects-cogitate Accessed Mar 15 2018.